We know what it takes to be the leading professional office moving contractor in Clapham – dedication, high quality standards and cost efficiency. Not only that, but we also guarantee to deliver all this to our clients, who have entrusted us with relocating their business. We have an established reputation to carry out Clapham office removals like nobody else. We work hard every day to improve our methods and we take great care to maintain and update our equipment and vehicles regularly. Those efforts pay off really well, since we are able to provide every business owner in the area, no matter whether his company is big or small, with optimal results when it comes to office removals in Clapham. Our two top priorities are safety and the comfort of our clients. That is why we invest a large portion of our attention into developing our packing and unpacking, assembling and reassembling and loading methods. We guarantee that the furniture, equipment and other items put in our care would sustain no damage during the transportation process. In order to reach the highest satisfaction of our clients, we work on a very flexible schedule. We are able to carry out our office removal services at any time needed. We work fast and our employees have no problem moving an office outside standard working hours or even in the weekends and during the night. Thus, our clients and their employees would be able to continue their work undisturbed and the office relocation would be unlikely to interfere with the productivity of the company in question. Any questions related to office removals in the area of Clapham can be directed to our customer service crew, which is available for contact on the telephone numbers provided 24/7. Alternatively, our e-mails are regularly checked and all incoming mail is answered in a timely fashion. We provide all interested parties with free no obligation quotes upon contact. They include the whole sum the client would be charged for our services – no additional charges and hidden taxes! We are a company to be trusted completely, and we prove that every time we move an office. We can easily haul large quantities of goods with one single trip because of our fleet of top quality transit vans and trucks. We have the company policy of cleaning and restocking with shielding products our vehicles after the completion of each commercial relocation for which we are hired. We have also equipped our Lorries and Lutons with highly accurate navigational systems and first grade safety straps which prevent the items from shifting during transportation and therefore prevent transit related accidents. The area of Clapham is connected to the other parts of London via two railway stations and three tube stations. The Clapham Common Tube Station is the busiest of the five transportation hubs as it served an estimate of ten million people on an annual basis. 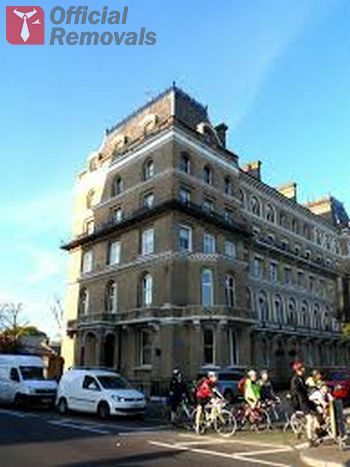 It was opened at the turn of the 20th century and sits on the Northern Line. Aside of the stations the district is also served by a number of bus routes.